On my day of birth, I thought it would be nice to share with you some of the fabulous blogs I've been reading lately and why you should head on over and check them out! First, we have Chloe, who is one sassy gal! I first found Chloe on instagram and became instantly addicted to her style and her herself. She's absoloutley lovely and posts the most amazing outfits (I want to raid her wardrobe!). Her photographs are some of my favourites and I love reading every single one of her posts! Find her on Instagram, Twitter and YouTube. Amy is someone who's blog I well and truly look up to. Her blog is mainly about Fashion and she has such a unique style. I'm so glad that I stumbled across her as I absolutely love everything she does and feel honoured to have advertised HLTST on her blog back in May this year! Find her on Instagram and Twitter. Now, it would surprise me if you haven't heard of Zoe but I had to include her anyway! Her blog covers everything from Fashion, Music, Beauty to Lifestyle, Food and Travel. She has a lovely way about her and has inspired me to stay true to me with my blog and what I do. She has an alternative style and the most amazing hair - go check her out! Find her on Instagram, Twitter and YouTube. Hayley is seriously my flat-lay inspiration. She takes the most gorgeous photos and has some of the best advice posts out there. She also talks about fashion, beauty and travel! Ever since I found her blog, i've been hooked. She's a down to earth girl with loads to share and definitely deserves a whole lot of love from you guys! Find her on Instagram and Twitter. Layla is an absolute babe- I'm majorly envious. She posts predominantly about Fashion, as well as a bit of beauty and lifestyle here and there and just has amazing style. Her fashion sense is right up my street and I adore her outfit photos! Plus- this girl has the most gorgeous hair! Find her on Instagram and Twitter. Finally, we have Charlotte. She posts about everything on the spectrum - Fashion, Beauty, Lifestyle - everything! She's a fellow Ginge (I wrote this before you went blonde girlll haha!) and quickly becoming one of my faves. Her posts are so enjoyable to read and her photography is always on point. Find her on Instagram, Twitter and YouTube. Great recommendations. 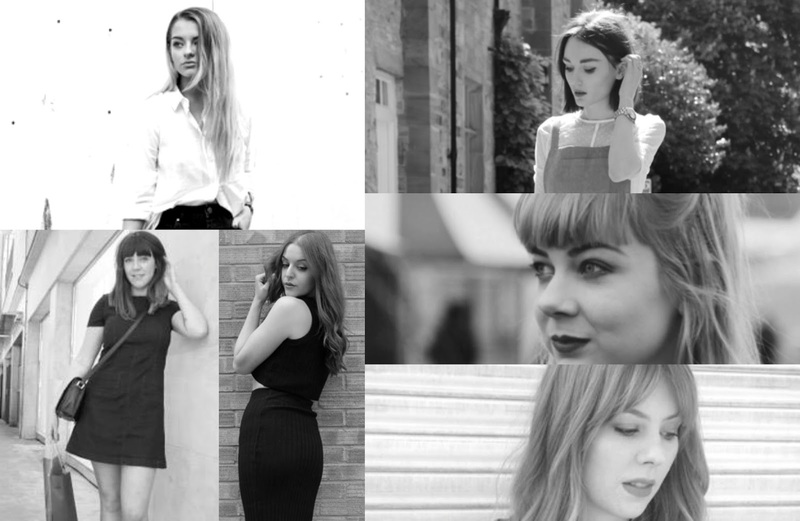 I think I read every single one of these ladies' blogs!